If you’ve got two weeks in Japan – take a look at my itinerary for ideas on what to see, do and eat in Japan – and even how to get around. Get a free quote for travel insurance to protect your Japan holiday! You’ll likely start your Japanese adventure in Tokyo. 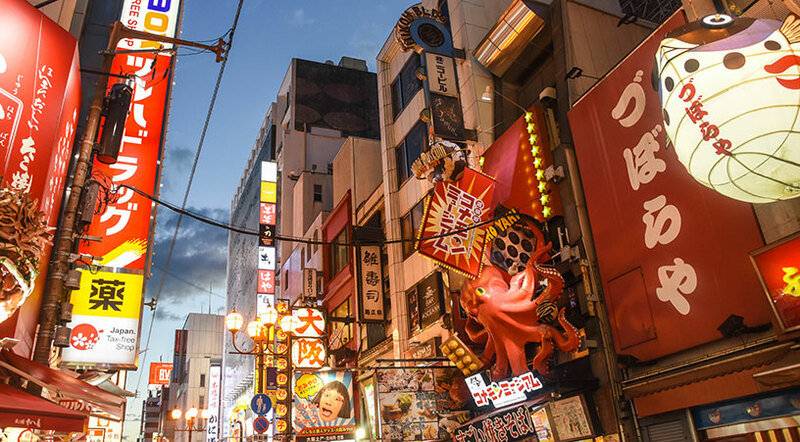 Tokyo is serviced by two airports – Haneda and Narita – so make sure you do your research on how to reach your accommodation before you land dependent on your budget. Trains and buses service both airports. Tokyo is a great introduction to Japan. It’s modern, clean and trendy - and there’s everything you can want or need here (and even things you didn’t know existed). Tokyo is serviced by a modern and efficient metro system – and your first day in Tokyo will probably be spent trying to figure it out! When you arrive in Tokyo, the best thing to do is grab a map of the metro and light rail system to help you make sense of the jumble of coloured lines. While the metro system can be confusing at first, it’s a very efficient way to explore Tokyo. There are a few companies that run transport in Japan. There’s the Tokyo Metro lines – and then there’s the Japan Rail (JR) lines. You can get almost anywhere you want in Tokyo by using either company. Figuring out how Tokyo’s commuter transport system works is basically trial and error – and usually some friendly Japanese folk will help you if you look really lost. All the lines are colour-coded and named so once you get a map, figure out where you need to go and then trace the line back to where you’ll start and follow the colour. Sometimes you may have to change lines – but follow the colours inside the station. You can buy 24, 48 and 72 hour passes for the metro – or you can also take the JR Trains around the city and use a JR Pass. Tokyo is a large sprawling city so you’ll want to spend at least three to four days to soak it all in. But there’s more to Tokyo than just a buzzing metropolis. There’s also beautiful shrines and pagodas, and beautiful parks. Check out the below video as fellow travel blogger Dan shares snippets of his epic time in Tokyo. Whether or not you’re into hiking, no visit to Japan would be complete without at least setting your sights on Mt Fuji. You can do an overnight hike up Mt Fuji and see the sunrise from 3,776 metres above sea level – or you can stay by peaceful Lake Kawagachiko for an epic view of the volcano. You can even do both. The most direct way to get the trailhead for the Mt Fuji hike is to take a bus from Tokyo’s Shinjuku Expressway Bus Terminal to Mt Fuji’s 5th Station. You can buy tickets at the Shinjuku Expressway Bus. I recommend buying your ticket a day or two in advance. The trip takes about three hours. Lake Kawagachiko can also be reached by bus from Tokyo’s Shinjuku Expressway Bus Terminal in about two hours. Aim to get a hostel or hotel that has a view looking onto Mt Fuji (there’s lots to choose from). 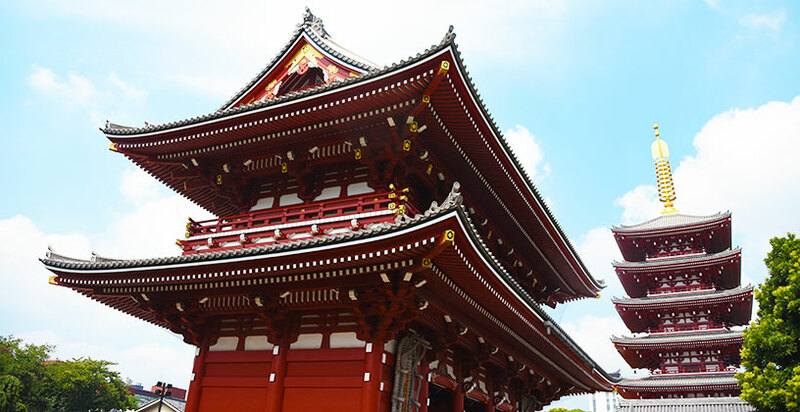 From Tokyo, head down to Kyoto to see the more cultural side of Japan. You can reach Kyoto by train or bus. 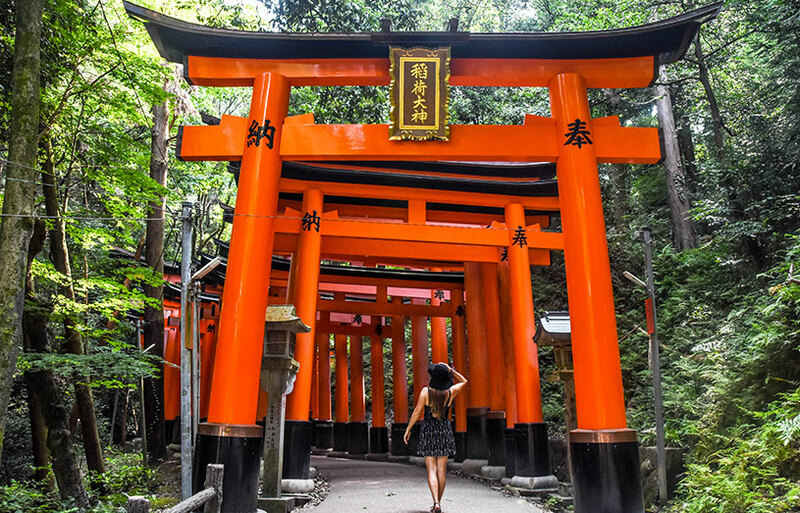 One of the most famous shrines in Kyoto is the Fushimi-Inari Shrine with its beautiful vermillion torii (gates). If you want photos without the crowds, head up to the top of Mt Inari. The Kiyomizu Temple and Kiyomizu-dera shrine. This is a great spot for sunset, and also for some souvenir shopping. 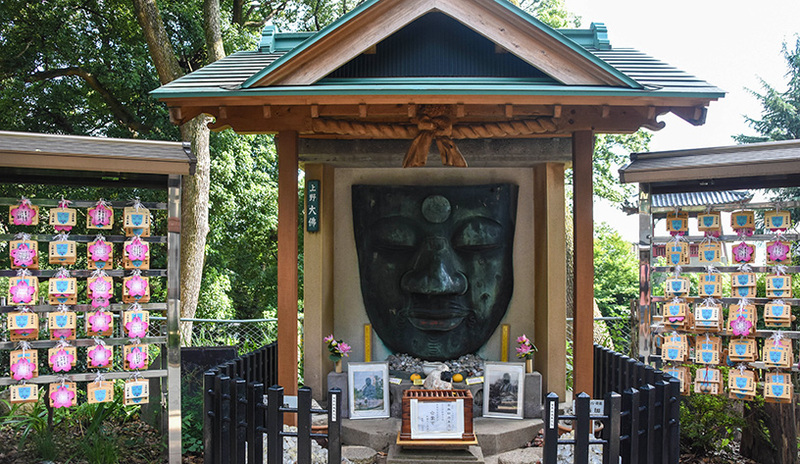 The shrines and monuments of Mt Kurama. You can access this area by taking the Eizan Railway from Kemachiyanagi Station to Kibuneguchi or Kurama stations and taking the loop hiking trail. Download the Maps.me app to help your find your way to the trail from the train station – or just follow the crowd from the Eizan Railway. Entry into the Mt Kurama precinct costs 300 Yen ($3.69 AUD) and the hike takes about two hours including photo stops. The 17th century Nijo Castle and the Kyoto Imperial Palace. Wander through the streets of the traditional Gion district with its wooden teahouses – and see if you can spot a geisha. Kyoto’s metro system is a lot easier to follow than Tokyo as there’s only two lines. However, Kyoto is also a very walkable city and you’ll spot lots of beautiful shrines on your daily wanderings. Nara is an easy day trip from Kyoto. Nara was the site of the ancient capital of Japan between 710 and 784. Points of interest in Nara include the World Heritage Sites of Todaiji Temple, Toshodaiji Temple and Yakushiji Temple. These are all located within Nara Park. You will also see lots of deer roaming between the World Heritage Sites. Deer are revered in this area and are considered a natural treasure. You can get to Nara from Kyoto by train from the Tofukuji Station. Trains leave roughly every 30 minutes. The rapid express train takes about 40 minutes and the all stops train takes about 80 minutes. Then it’s an easy 30 minute walk to Nara Park from the train station. Osaka is one of the best places in Japan for food and shopping. 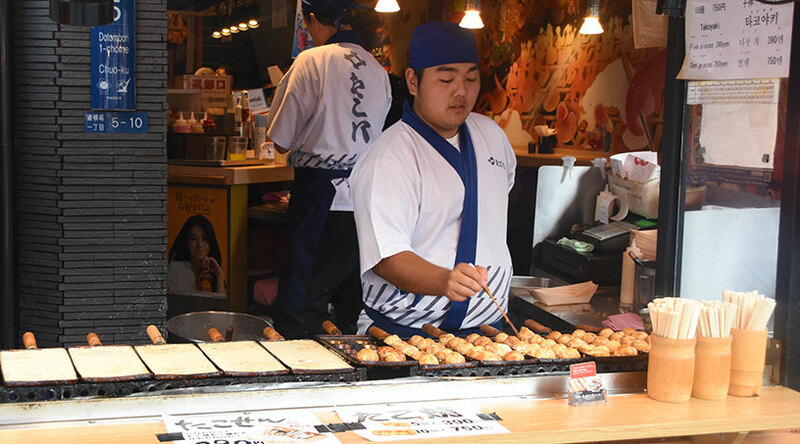 Try traditional dishes such as takoyaki (deep friend octopus) and okonomiyaki (Japanese style pancake made with egg and your choice of toppings such as pork, and prawns). You can get these all around Osaka – and are especially spoilt for food choices on the main shopping street of Dotonbori. You probably won’t use the metro that much in Osaka as it’s another very walkable city. Make sure you check out Dotonbori Street at night with its hundreds of lights. Osaka can be reached by an easy 30 minute train ride from Kyoto Station. End your Japan trip in Osaka. There’s many international flights departing from Osaka’s Kansai International Airport. With this handy guide, you can make the most of your Japan trip to see the highlights, enjoy the unique food, and even indulge in some souvenir shopping. Costs vary for metro tickets depending on how far you travel. Some ticket machines in Tokyo allow you to choose your destination to get the price, but others will only let you guess the price. If you don’t put in the required fare, you won’t be able to get out on the other side – but don’t worry, just head over to the adjustment fare machine near the exit, insert your ticket and pay the difference. You can drink the tap water in Japan. Toilets are very fancy and look super complicated. It’s not easy to find the flush button sometimes. Toilets in Japan offer up heated seats, front and rear washing (yep it’s what you think it is) and even music. Some restaurants have vending like machines where you select your meal, pay your money and you’re given a ticket to take to the waiter. You can only buy the (Japan Rail) JR Pass outside of Japan. Japanese people are very friendly although not many speak English. Despite this, they will often try to help you if they see you struggling to find the right metro line for example. It’s a good idea to learn a few words of Japanese to be polite. Words like Hello (Konnichiwa) and Arigato Gozaimasu (thank you very much) is a good start. You can pay by credit card in hotels, hostels, shops but cash is your best option for food. If you need to get cash out, use the ATMs inside 7/11 convenience stores.